Showing 13 articles from March 9, 2015. This is a busy week for the ladies in and around town. The Women's Club holds their monthly salad luncheon meeting on Wednesday at noon in Pioneer Hall. Then on Thursday, the Red Hat ladies gather for fun and games at 2 p.m. also in Pioneer Hall. Friday night's dinner at the Café will feature Russ' Chicken Steak Marinara. As usual, a Beverage, Salad and Dessert are always included for $9. Reservations are required and need to be made by 6 p.m. Wednesday - Call Linda at (360) 295-0875. March 12 Toledo School District Special Board Meeting 6 p.m. at Middle School Library. Public invited. Visit www.toledo.k12.wa.us or call (360)864-6325. The Country Cruisers Car Club's annual car show has been scheduled for June 9 from 9 a.m. to 3 p.m. at McMurphy Park. This event is open to the public and will feature both finished and unfinished vehicles. The fee per entry, with multiple entries available per person, is $15. Plaques will be given for the first 100 vehicles registered, while trophies will be handed out at 2:30 p.m. the day of. For more information, call Club President Al Bangs at (360) 827-1899. Residents Judy Costello and Janet Charlton have undertaken the task of organizing May Day 2015, which is coming up on May 2. While details are still in the works, including a theme for this year, the community now has some go-to gals to prepare for this first festival of the local summer season. Charlton is organizing parade while Costello will be putting together vendors and events. For more info, contact Costello at (360) 295-3036 or Charlton at (360) 295-3011. What a beautiful week it has been in Winlock, the weather has been unbelievable. My daffodils have popped up and are blooming; now it's time for me to start my gardening which I love to do. There is nothing like getting your hands in the dirt and having that feeling of accomplishment every time you walk outside and see no weeds, hopefully this will be my year of no weeds!!! The Winlock Olequa Senior Center will be having a rummage sale March 14 from 9 a.m. to 4 p.m. They are now accepting good used clothing items for the sale. If you have any questions, please call the Senior Center at (360) 785-4325. 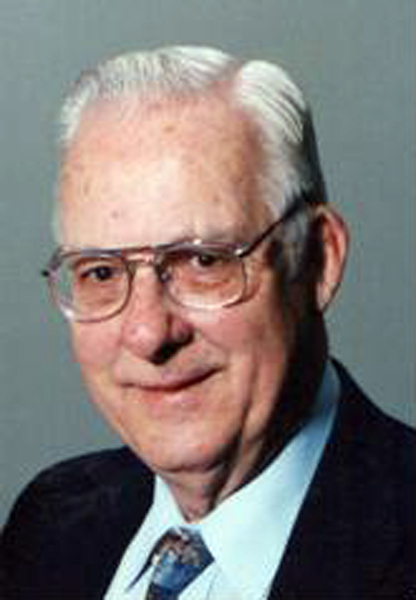 Bill Blum passed away March 3, 2015 at the age of 88. Mowing season is under way for Winlock Cemetery and below are a list of rules and regulations Lewis County Cemetery District 1 would like residents to be aware of. - All flowers are to be placed in vases on the headstone settings or on the headstones themselves. Please note, as flowers wilt, they will be removed and discarded. 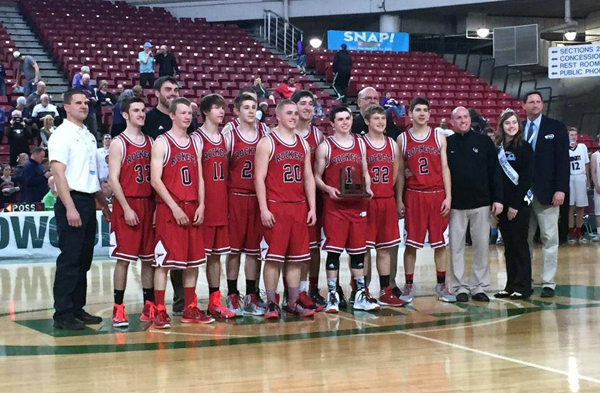 The Castle Rock Boys Basketball team finished the 2014-15 season by earning a sixth place trophy at the WIAA Hardwood Classic in Yakima over the weekend. The Rockets lost to Zillah, the defending state champion on Thursday, then knocked off Naches Valley in the consolation round. In the trophy round, they faced a familiar foe and fell for the third time in four attempts to King's Way Christian, of Vancouver. Authorities believe they have ruled out foul play in the death of an 8-month-old boy taking place in the Toledo area March 4. The death of Jayden A. Leech, as he was later identified by the Lewis County Coroner's Office, had been the subject of an investigation by the Lewis County Sheriff's Office after aid was called around 8:30 p.m. to the 200 block of Foster Creek Rd., south of Toledo, to reports Leech had stopped breathing. Authorities are seeking help solving a burglary taking place last month in the Centralia area. Sometime between Feb. 2 and 19, an unknown number of suspects entered an unlocked shop building on the 3000 block of Lowery Ln. and stole a 2001 Honda XR100 motorcycle, a 1994 Suzuki DS80 motorcycle a 032 Stihl Chainsaw and Miscellaneous hand tools. The estimated loss is around $2,000. Local fire and EMS calls between March 2 and 8. The Chehalis Eagles will be hosting a spaghetti dinner and silent auction this Sunday afternoon to raise funds for the family whose house burned down in Winlock Feb. 26. The event will run from noon to 4 p.m. at the Eagles Lodge (1993 S Market St., Chehalis) and the public is invited to come and show their support. Donations of items for the auction would also be appreciated. The Lewis County Sheriff's Office is alerting citizens to the possibility they may see private vehicles driving slowly up and down Lewis County roadways as part of a Washington Department of Fish and Wildlife (WDFW) Elk Hoof Disease study in Lewis County and throughout Southwest Washington. The Sheriff's Office wants to be proactive in getting the word out about the study, in case residents become concerned about unusual or unknown vehicles driving slowly in rural areas.